Easter is coming, it’s one week away, and who doesn’t love an excuse to dive head first into chocolate. Every year the Easter Eggs on offer get better and better, and this year is no exception. Although I love a plain and simple Cadbury Buttons number, who is going to deny a bit of indulgence in the more extravagant and cutesy ones. 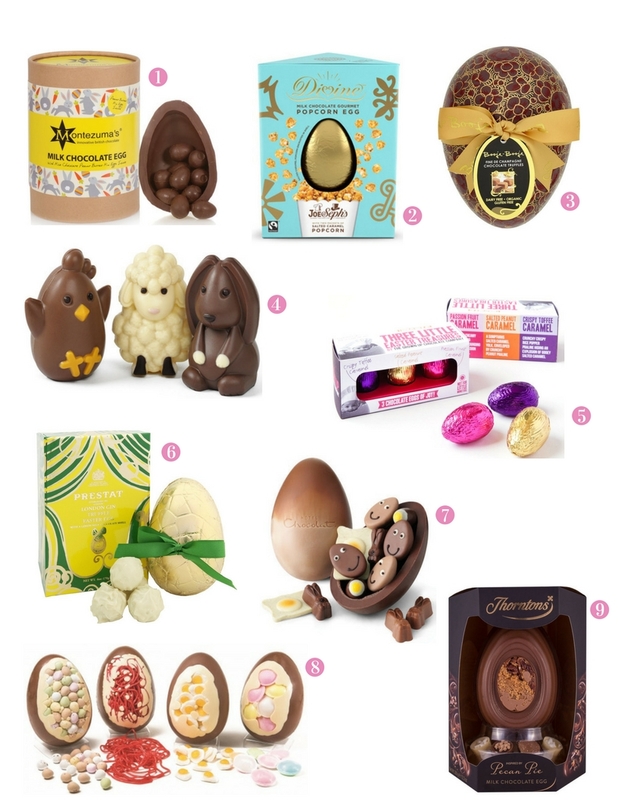 Here are some tantalising Easter Eggs to get you eggcited. Be sure to let me know your fave. Montezuma’s Milk Chocolate Egg with Peanut Butter Mini Eggs, £19.99. 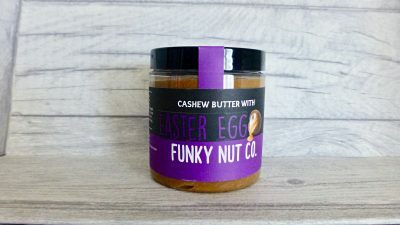 Filled with the most delicious peanut butter mini eggs, this ticks all the boxes as well as being gluten free. Divine Milk Chocolate Popcorn Easter Egg, £14.99. Featuring Joe & Sephs Salted Caramel Popcorn, this is another gluten free number and I cannot help but feel this egg is going to be as Divine as it sounds. Booja Booja Fine De Champagne Easter Egg, £10.85. Not a traditional egg but what you can expect are dairy and gluten free French Fine de Champagne chocolate truffles sitting in a hand painted Easter egg. 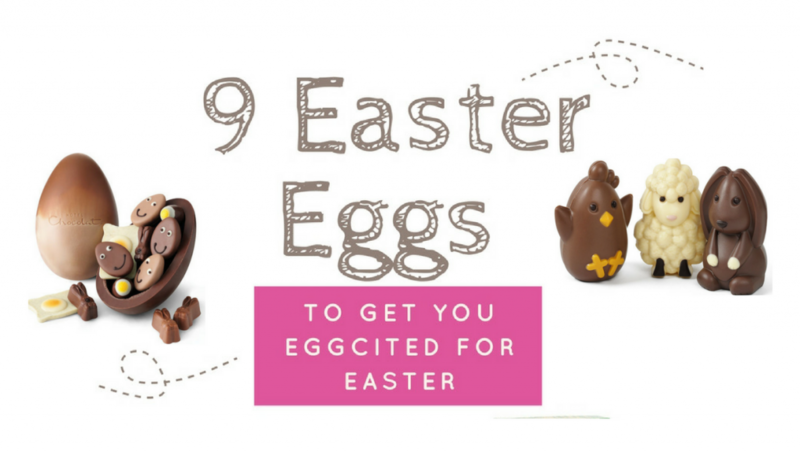 Hotel Chocolat Easter Pen Pals, £10.00. Where would we be without the chick, lamb and bunny at Easter time? These little pals maybe cute but sadly they are going to be demolished in no time. The Grown Up Chocolate Company 3 Little Easter Treasures, £4.95. I am yet to come across a Grown Up Chocolate Company goodie that I don’t like and these mini Easter eggs feature both two of their standard flavour combos, Salted Peanut Caramel and Crispy Toffee Caramel, as well as a new addition of Passion Fruit Caramel. Prestat London Gin Truffle Easter Egg, £17.50. Who says you can’t have your cake and eat it too. Well in this case your chocolate and your tipple? A milk chocolate lemon egg filled with white chocolate truffles made with ganache flavoured with gin and Mediterranean lemon oil. Chin Chin! Hotel Chocolat Extra Thick You Crack Me Up Egg, £27.00. I cannot help but look at this egg and have a little smile on my face. Those little eggs look like they’re having a whale of a time in that super thick egg and are egging you to come and join them. The Cocoabean Company Easter Egg, £7.95. Sweets and chocolate go hand in hand with this Easter egg. 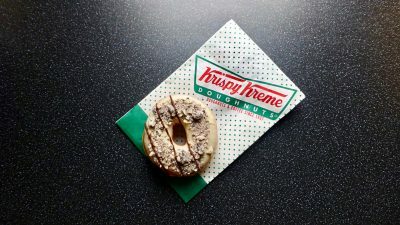 Perfect one for the kiddies and the sweet obsessed adults, this one won’t break the bank either. The only problem is picking which one you want. Thorntons Pecan Pie Inspired Easter Egg, £12.00. Think chocolate and dessert, this maple syrup chocolate egg with pecans and toffee is a number of dessert-esque inspired eggs on offer from Thorntons. Guaranteed to satisfy the pudding fan in your family. What are you hoping the Easter Bunny will bring you? I think I’d want to try The Grown Up Chocolate Company ones – I know they’re small but I’ve seen some of their products for sale here and I’m SO SO tempted, but they seem really pricey. Do you think I should pop one in my basket on the next shopping trip? I’ve no idea what they’re like!